Posted on Friday, September 20th, 2013 at 9:13 am. Boxing History: September 20, 1972 Muhammad Ali KO 7 Floyd Patterson, NYC. Floyd’s final fight. Muhammad Ali (born Cassius Marcellus Clay, Jr., January 17, 1942) is an American former professional boxer, philanthropist and social activist. Considered a cultural icon, Ali has both been idolized and vilified. 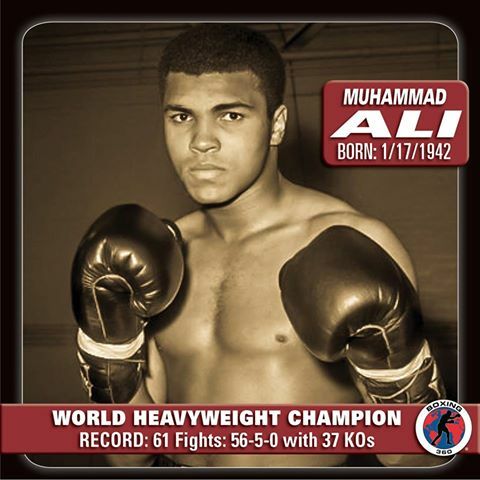 Originally known as Cassius Clay, he won the world heavyweight championship from Sonny Liston at the age of 22. Ali changed his name after joining the Nation of Islam in 1964, subsequently converting to Sunni Islam in 1975, and later to Sufism. In 1967, three years after Ali had won the heavyweight championship, he was publicly vilified for his refusal to be conscripted into the U.S. military, based on his religious beliefs and opposition to the Vietnam War. Ali was eventually arrested and found guilty on draft evasion charges; he was stripped of his boxing title, and his boxing license was suspended. He was not imprisoned, but did not fight again for nearly four years while his appeal worked its way up to the U.S. Supreme Court, where it was eventually successful. 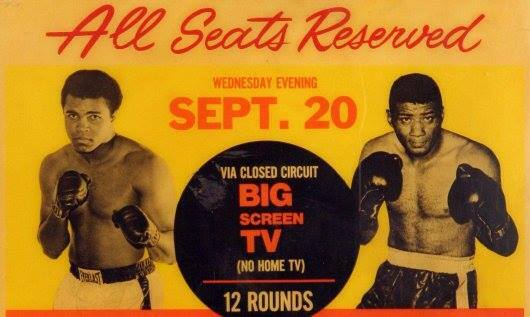 Muhammad Ali vs. Floyd Patterson II September 20, 1972 – Floyd’s final fight.